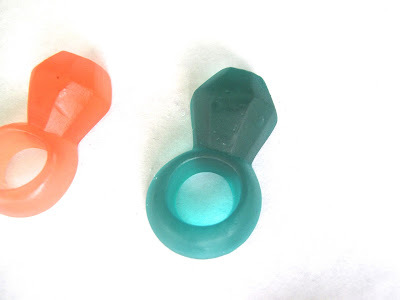 I assume that most Obsessivesweets readers have experienced the childhood thrill of working one's way through an original Ring Pop. It's not about the flavor; it's about the process and aesthetic. The colored translucent lollipop glimmers a little like a jewel and it's a simple and fun concept that never really gets old. Now Ring Pops are being produced as gummy candies and they're still pretty great. 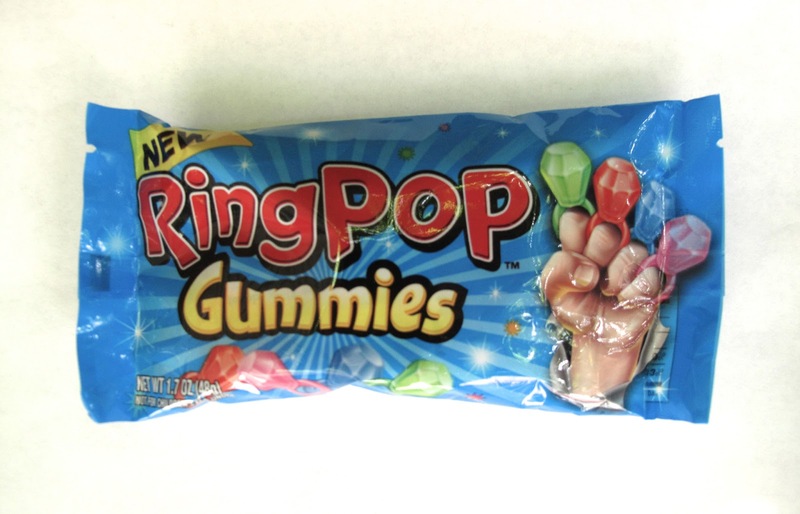 They come in the original Ring Pop flavors of very artificial Cherry, Strawberry, Watermelon and Blue Raspberry. Like the lollipops, it's not about the flavoring. The gummies have a nice soft texture and you can still stretch them over your fingers and play at having a hand full of diamonds! 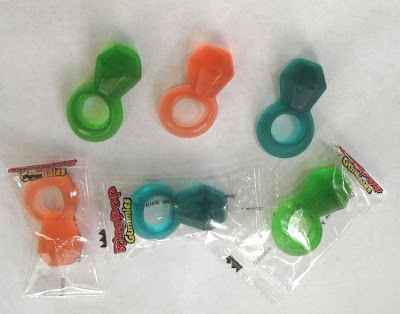 A nice way to extend the Ring Pop line! Iccchhhhhh! I can just imagine children putting these on their fingers and THEN eating them off their fingers. That's what _I_ would do. Talk about sticky. Talk about major hygiene issues.